HÀ NỘI — Hà Nội’s authorities have named and shamed 43 buildings that violated construction regulations. Many of them are located in the city centre and funded by major investment groups. The violations at the buildings were discovered in 2015 and 2016 but have not yet been reversed. The construction violations range from building without permission to not complying with construction criteria for building height and size. Among the 43 buildings are office buildings, residential buildings, factories and structures located in industrial zones. Eight buildings are located in the central district of Hoàn Kiếm, seven in Hai Bà Trưng District, five in Thanh Xuân District, five in Thanh Trì District and three in Ba Đình District. On the list is 8B Lê Trực Building, funded by Lê Trực Garment Company. The building was licensed for 18 stories, but the investor illegally built a 19th floor. The city’s authorities have asked the investor to demolish the offending floor. 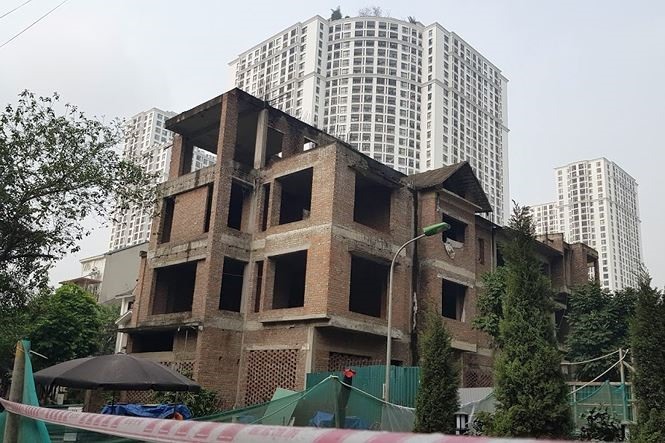 Others residential buildings in the list are the apartment building at 93 Lò Đúc Street invested by Kinh Đô Hotel Limited Company, Hòa Bình Green City Apartment Building at 505 Minh Khai Street invested by Hòa Bình Limited Company and King Palace Residential Building at 108 Nguyễn Trãi Street invested by Hà Nội Housing Development and Investment Joint Stock Company.